It’s not hard to tell tell that Kayla and Tyler’s wedding is one of the most romantic weddings out there. 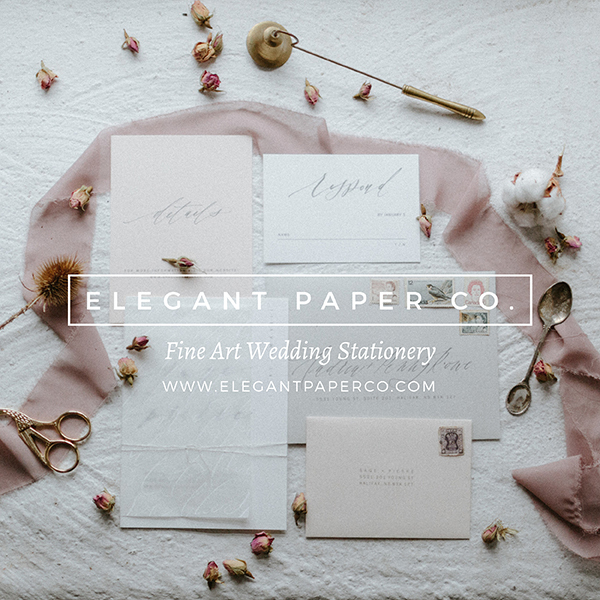 The baby’s breath, soft colours of blush pink and neutral tones, and rustic vibe all came together to create a gorgeous setting for the happy couple’s big day. Tyler and I met in high school. Tyler had challenged Kayla to a game of soccer where the loser treated the other to a movie. Unfortunately, instead of a real game of soccer, Tyler was a smooth thinker and brought out the FIFA video game. Kayla inevitably lost, but Tyler was a gentlemen and treated her to the movies anyways. The rest is history for these high school sweethearts! Tyler and I had travelled to New Hampshire a couple of times since we began dating and had always talked about someday hiking Mount Washington. In the summer of 2014 we finally accomplished this task! It was one of the hardest things we have ever done, but eventually we made it to the top of the mountain! The descent was rather quick and once we had made it back into the treeline, Tyler decided it was a great time to stop and take off some of our warmer layers on this tiny little clearing that overlooked the entire White Mountain National park. When it was time to put our gear on for the final leg of the descent Tyler told me to wait for a second because he forgot something and it was then he got down on one knee! It could not have been more perfect! When deciding on the overall wedding décor and colors a big inspiration was the type of wedding we always envisioned for ourselves. 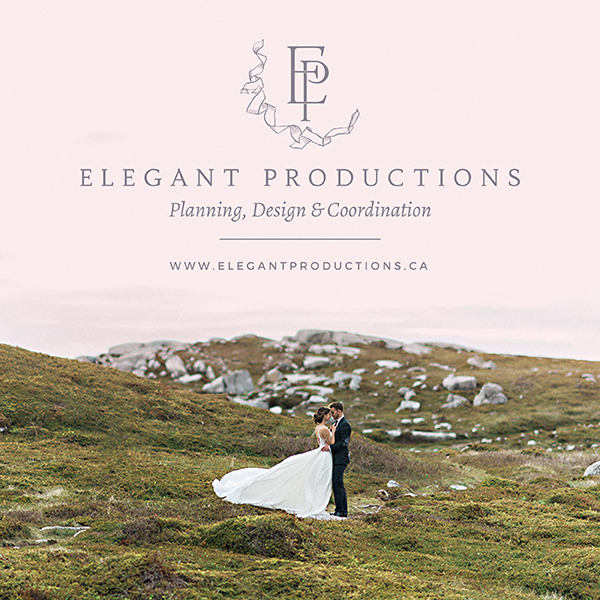 We had always dreamed of having a very relaxed outdoor wedding and when out for a drive we came across Green Island Getaways and decided to stop in and explore. We both loved the venue and immediately decided it was the place for us. 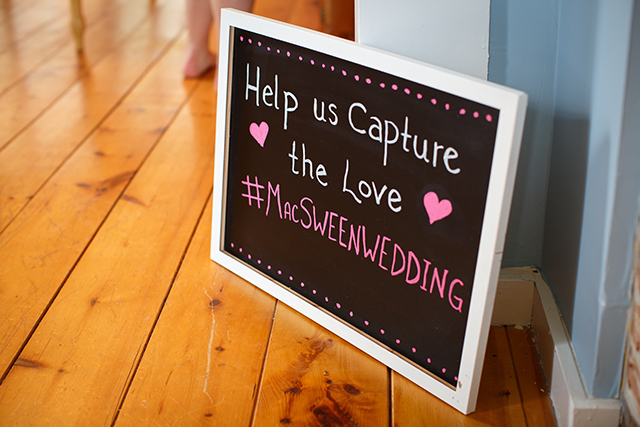 Once this was chosen the rustic wedding décor fell right into place. We wanted to keep things very “beachy” with a lot of baby’s breath, soft colors and mason jars. Blush pink had always been a color I had in the back of my mind and luckily it suited the venue and type of wedding we were planning perfectly. One of my favorite things about our wedding decorations is that they were all made from hand. Everything from the bouquets to the centerpiece decorations to the seating arrangement charts and photobooth decorations. This was really special as it was a great way to get everyone together in the months leading up to the big day and it was nice to be able to look around and have a reminder of all of the hands that had went into making every last detail perfect. 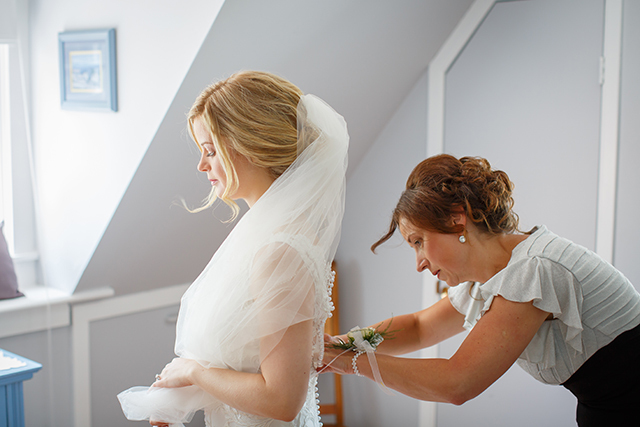 I had many favorite moments from the wedding, but one that I can really remember that brought a tear to my eye was the moments leading up to the ceremony where my bridesmaids and I were all dress and ready to go and I could see all the guests arriving from my upstairs window. It made me so happy to see all of those people who were there to support Tyler and I as we made this big step forward. To see all of them made everything feel real and made me the most excited bride to walk down the aisle and see my best friend standing at the other end waiting for me. The biggest advice I would give is to not get too worked up about the small things. You could worry and worry right up to the last minute, but the day goes by so fast that you need to be able to take the time to enjoy it! So remember what it is all about in the end: getting to marry the love of your life! It also helps to surround yourself with great people. An easy-going photographer, videographer and caterer paired with a great bridal party results in a wonderful day!